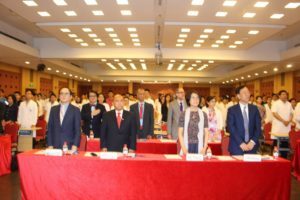 Macau’s 37th Sino-Luso International Medical Forum heralded six years of success this week with MOUs and symposiums in Beijing and Macau. 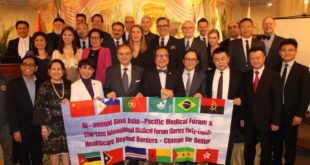 The international medical delegation included the Undersecretary of Health of the Philippines, Prof. Herminigildo Valle, Prof. Florentino Cardoso, President of the Brazilian Medical Association, and Prof. Rui Cruz Ferreira, Director of the Cardiology Department at Centro Hospitalar de Lisboa Central-Santa Marta Hospital and Director of the Portuguese National Center for Cardiology. 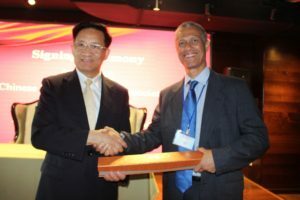 The Macau team included Dr. Mario Evora, chief cardiologist of the Macau government hospital, Dr. Humberto Evora, sports medicine specialist and chief medical doctor of the Cabo Verde Olympic team, Dr. Luis Sousa, senior breast surgeon at the Macau government hospital, and Dr. Monica Pon, an assistant professor at the Nova Medical School in Lisbon now based in Macau. 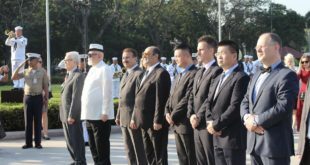 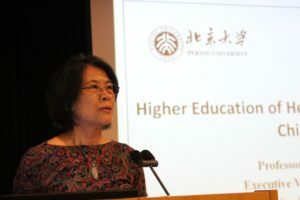 It was led by Prof. Manson Fok, president of the Sino-Luso International Medical Forum, and Dr. Billy Chan, vice president of the Sino-Luso International Medical Forum, and head of the Centre for Medical Excellence at the Faculty of Health Sciences at the Macau University of Science and Technology (MUST). 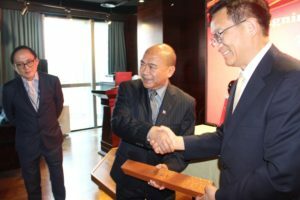 The meetings began with discussions in Beijing at the Chinese Medical Doctor’s Association (CMDA) with a formal tour of their new facilities, and the signing of two MOUs. 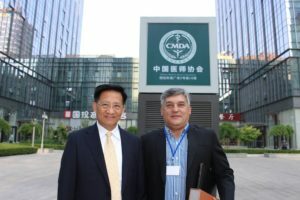 With more than 2.6 million members, the CMDA joined forces with another global medical force—the 400,000 strong member Brazilian Medical Association under Dr. Cardoso’s leadership. 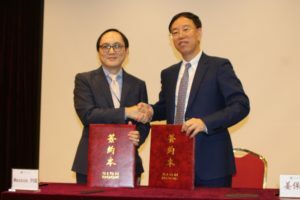 That MOU and the other signed with CMDA and MUST set the course for the following day’s MOUs for medical simulation training—inked between MUST and the Peking University People’s Hospital. 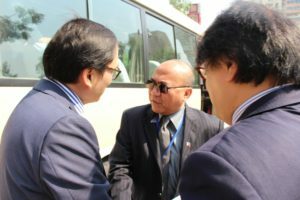 Indeed, the Friday visit to Peking University People’s Hospital witnessed a long morning of major scientific speeches and engagements. 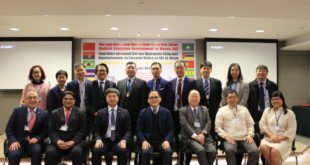 President of the Peking University People’s Hospital Prof. Jiang Baoguo, for example, warmly welcomed the delegation and presented his acclaimed national trauma program. 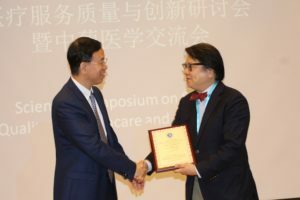 He also conferred Dr. Billy Chan as an honorary professor at Peking University People’s Hospital. 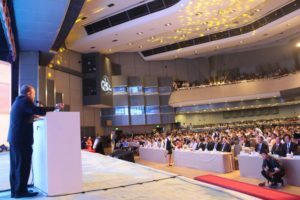 Both Prof. Valle and Prof. Cardoso also addressed the Chinese College of Surgeons with 5,000 attendees on Saturday. 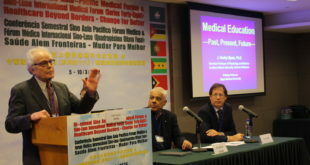 The discussions and meetings will continue in Macau on Sunday night with a private science symposium at the Military Club, and on Monday with a tour and symposium with Macau frontline healthcare provider’s at the Faculty of Health Sciences at MUST.